Newsflash! 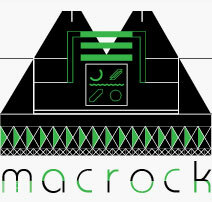 : MACRoCk 2012 is Coming! Yay, yay, and yay some more, because MACRoCk 2012 is a mere two months away! I went to my first one last year and I am so so so excited to go back again this year. There's no doubt going to be all kinds of musical goodness over in Harrisonburg this year, and the organizers have dropped a tantalizing few band names to get everyone even more excited about that first weekend in April. I'm super psyched to see Lower Dens (FINALLY), The Diamond Center (yet again! ), The Invisible Hand, Eternal Summers, and Creepoid, to name but a few. Of note, all you localish (or inclined to drive to Harrisonburgish) bands have until February 14th to get your applications in. Obviously, y'all should be hard at work on this. Get all the pertinent details at the official MACRoCk site, and I'll see y'all in Harrisonburg!